According to customer's request, usually 2-4 weeks. Delivery Time: According to customer's request, usually 2-4 weeks. Shaped Wire Compact Concentric-Lay-Stranded Aluminum Conductor, Steel-Supported (ACSS/TW) is a concentrically stranded conductor with one or more layers of trapezoidal shaped hard drawn and annealed 1350 aluminum wires on a central core of steel. ACSS/TW can either be designed to have an equal aluminum cross sectional area as that of a standard ACSS which results in a smaller conductor diameter maintaining the same ampacity level but reduced wind loading parameters or with diameter equal to that of a standard ACSS which results in a significantly higher aluminum area, lower conductor resistance and increased current rating. ACSS/TW is designed to operate continuously at elevated temperatures, it sags less under emergency electrical loadings than ACSR/TW, excellent self-damping properties, and its final sags are not affected by long- term creep of aluminum. ACSS/TW also provides many design possibilities in new line construction: i.e., reduced tower cost, decreased sag, increased self-damping properties, increased operating temperature and improved corrosion resistance. The coating of steel core is selected to suit the environment to which the conductor is exposed and operating temperature of the conductor. ACSS/TW, a nonhomogeneous conductor, is a trapezoidal shaped wire compact concentriclay- stranded conductor made from aluminum 1350-O wires and round, coated steel core wire(s). 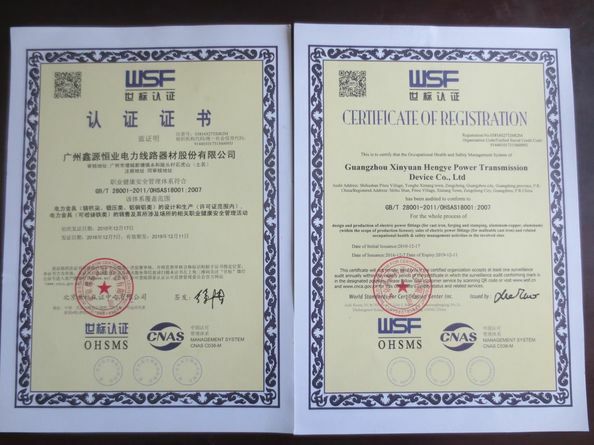 ACSS/TW conductors withequal area or equal diameter as compared to ACSS conductors are available for overhead lines. Steel wires are coated with Class A coating of zinc - 5% aluminum mischmetal alloy. Other Classes of coatings are also available for additional protection from corrosion. Standard, High, Extra and Ultra High Strength steel are also available. ACSS is a composite concentric-lay stranded conductor. Steel strands form the central core of the conductor with one or more layers of aluminum 1350-0 wire stranded around it. The steel core carries most or all of the mechanical load of the conductor due to the "0" (fully annealed or soft) temper aluminum. Steel core wires are protected from corrosion by galvanizing, aluminizing, or mischmetal alloy coating. Corrosion protection should be selected to suit the environment to which the conductor will be exposed. High strength steel core is also available. -- Minimum average conductivity of 63% IACS for 1350-O aluminum wires vs. an average conductivity of 61.2% for 1350-H19 aluminum wires in ACSR. -- ACSS conductors can be operated up to 250 °C vs. the maximum operating temperature for an ACSR conductor does not exceed 100 °C. ACSS conductors are prone to resist the effects of aeolian vibration due to very little or no mechanical load on the annealed aluminum wires. Long term creep is not a factor when designing with ACSS conductors. In addition, use of ACSS/TW with the equal area design allows equal ampacity in a conductor with approximately 10% smaller diameter over a standard ACSS with same area. This smaller diameter of equal area ACSS/TW conductors helps reduce the effects of ice and wind loading on the conductor. in the cross-sectional area of the conductor reduces its ac resistance by about 15% - 20% and thus, increases its current carrying capacity by about 10%. 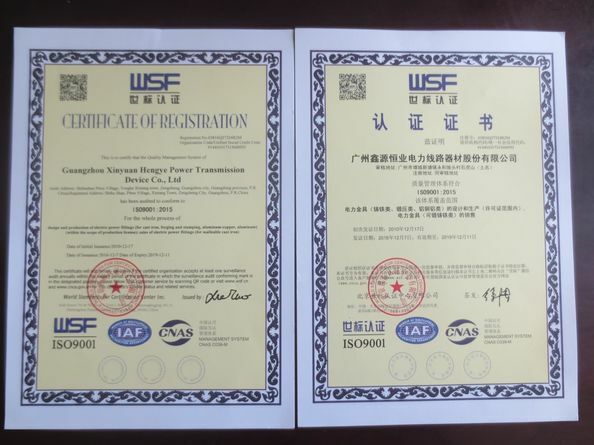 ACSS is used for overhead distribution and transmission lines. It is designed to operate continuously at elevated temperatures up to 250Â°C without loss of strength; it sags less under emergency electrical loadings than ACSR; it is self-damping if prestretched during installation; and its final sags are not affected by long term creep of aluminum. The advantages make ACSS especially useful in reconductoring applications requiring increased current with existing tensions and clearances, new line applications where structures can be economized because of reduced conductor sag, new line applications requiring high emergency loadings, and lines where aeolian vibration is a problem. B 232 Aluminum Conductors,Concentric-Lay-Stranded,Coated Steel Reinforced(ACSR). B 498 Zinc-Coated(Galvanized) Steel Core Wire for Aluminum Conductors, Steel Reinforced (ACSR). B 609 Aluminum 1350 Round Wire, Annealed and Intermediate Tempers, for Electrical Purposes. 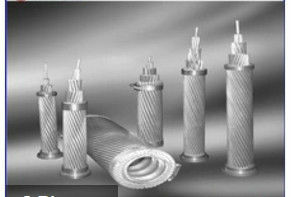 B 857 Shaped Wire Compact Concentric-Lay-Stranded Aluminum Conductors, Coated-Steel Supported (ACSS/TW). China Good Quality Aluminium Alloy Conductors Supplier. Copyright © 2018 - 2019 aluminiumalloyconductors.com. All Rights Reserved.